Federico Falcone... leaving the Maltese league for Malaysia. Federico Falcone bid farewell to Maltese football yesterday as the striker agreed a deal to join Terengganu FC in the Malaysian league. Terengganu FC officials had been engaged in talks with their counterparts from Valletta over the signature of Falcone for the last few weeks but a deal was finally struck during the weekend. Falcone, whose contract at the Maltese champion club was due to expire at the end of the season, has already left the islands on his way to Malaysia where he will put pen to paper on a lucrative one-year contract with an option to extend his stay with the club for a further year at the end of the 2017 season. The Argentine had joined Valletta at the start of last season and played a leading role in helping them claim a 23rd Premier League title when netting 16 goals to finish second in the scorers’ list, four short of Mario Fontanella, of Floriana. This season, Falcone struggled to repeat the same kind of scoring form however as he had to deal with niggling injuries and only managed five goals after 16 Premier League matches were played. At Terengganu FC, Falcone will be the second player with BOV Premier League experience after fellow Argentine Mauricio Mazzetti Latini. 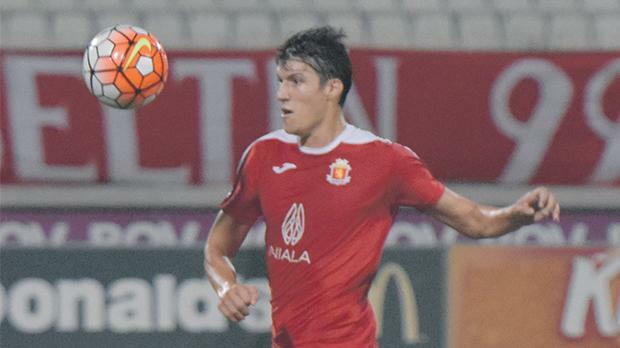 The former Birkirkara defender has also agreed join the Malaysian side earlier this month. Valletta are now expected to step up their chase to get a valid replacement for Falcone. It is understood that Paul Zammit has already identified a few candidates and was expected to meet club president Victor Sciriha yesterday to decide on possible newcomers to the team. Elsewhere, Sliema Wanderers have decided to release Bosnian striker Milos Galin and Nigerian defender Benjamin Chinedu who both failed to leave their mark so far in the championship. Galin joined the Blues in the close season but was yet to score his first league goal before the Christmas recess. Chinedu had joined Sliema at the end of the summer transfer window from Mosta FC but he did not make a single appearance for John Buttigieg’s team. Sources have told Times of Malta that Sliema are looking to sign an overseas forward during next month’s transfer window as they look to add some much-needed back-up for Jean Paul Farrugia who has been enjoying a positive campaign in the Premier League. The Blues are also scouring the market for a defender in a bid to beef up their backline. Pembroke Athleta are also expected to be active during next month’s transfer window as they seek to revive what has been so far a very disappointing season. The league strugglers are currently running the rule over five overseas players who arrived for a trial yesterday. However, a final decision on whether they will be offered a contract will be taken next week when coach Artim Shakiri returns from his holidays. It is understood that Pembroke are not happy with the performances of some of their players, particularly Ukrainian midfielder Oleksander Maksymov and Brazilian forward Bernardo Mariano but so far no decision has been taken on their future.